GEORGIA. 2017. 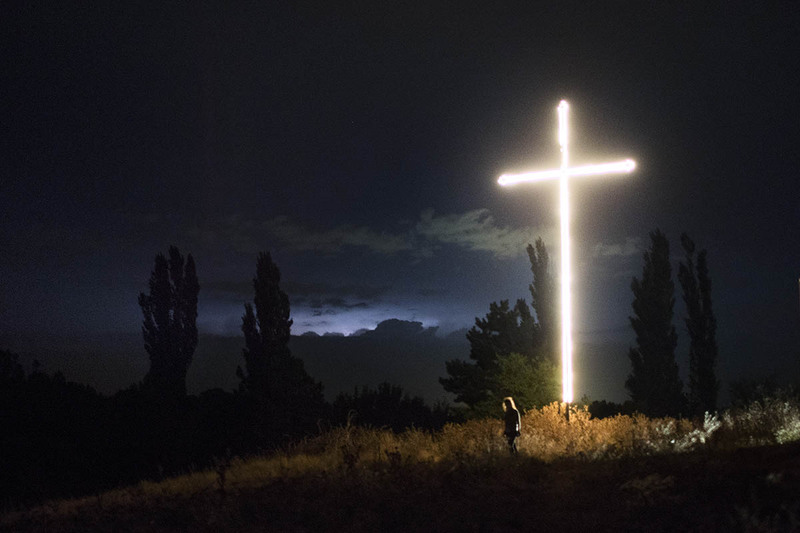 A brightly lit cross, erected after the 2008 Russo-Georgian War, stands on the road leading to the village of Dvani. During the conflict, up to 50 houses were burned down and bombed.